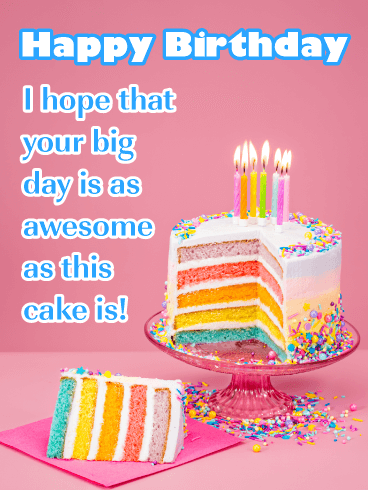 If you know someone who is celebrating their special day, then get this impressive birthday card over to them right away! 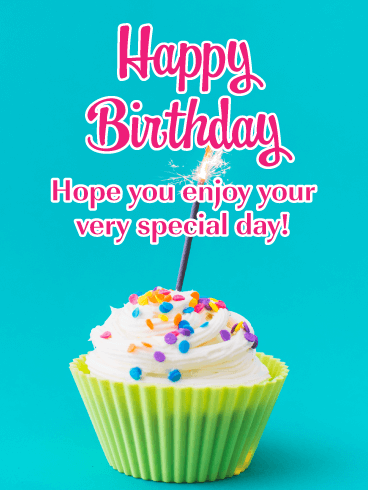 The vibrant colors, yummy cupcake with frosting, and the fact that you sent it their way will certainly make their day extra special. 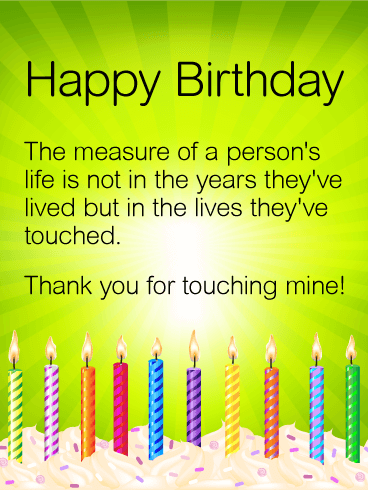 So don’t wait a moment longer, let them know you are thinking of them by sending this great birthday card out now! 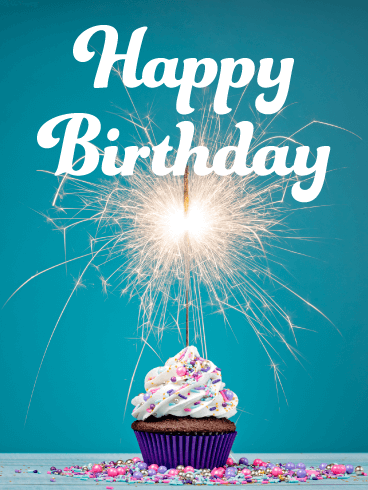 What’s the sweetest way to say happy birthday to somebody? This colorful card! 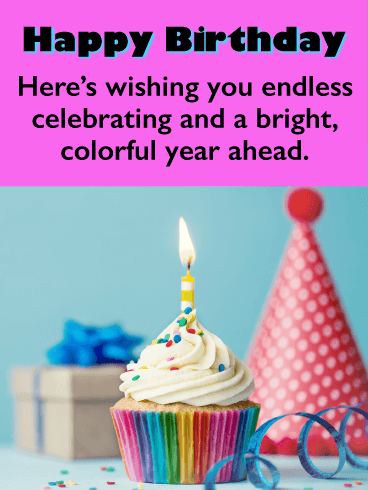 With an oversized cupcake, topped with frosting and lots of brightly lit candles in fun colors, it’s an opportunity to wish them the best celebration ever, one that’s full of enough happiness to last all year long! Not much is more relaxing than a day at the beach. 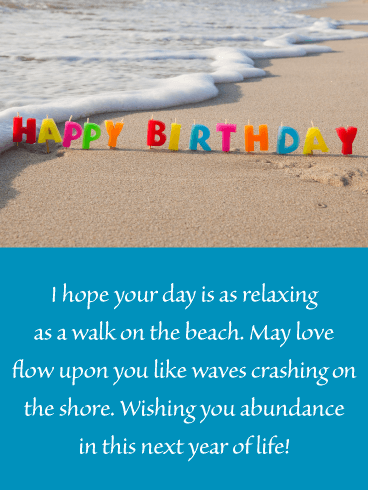 Send some serious vacation vibes with the Candles on the Beach Happy Birthday Wishes Card. May love find the recipient of this birthday card and crash upon them like waves upon a sandy shore. Wish them abundance as they navigate the next year of life, growing older is a blessing! 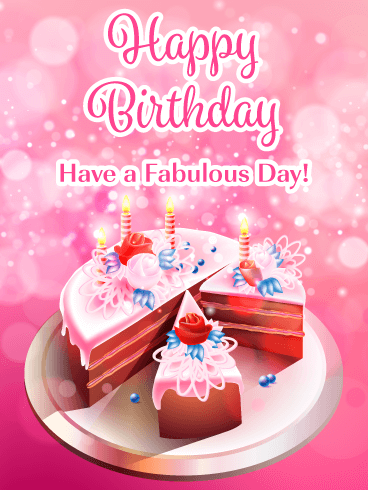 This delightful birthday card shines above the rest with its fabulous stars and an amazing cake! 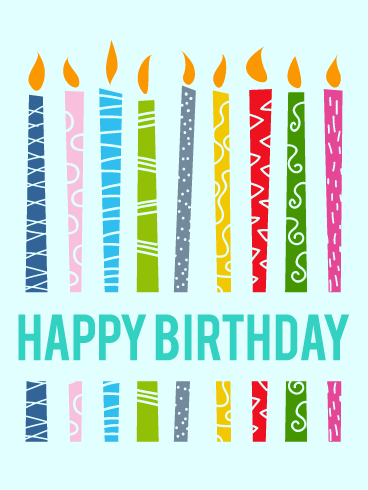 The words, “Happy Birthday To You” are front and center, and can’t be missed! 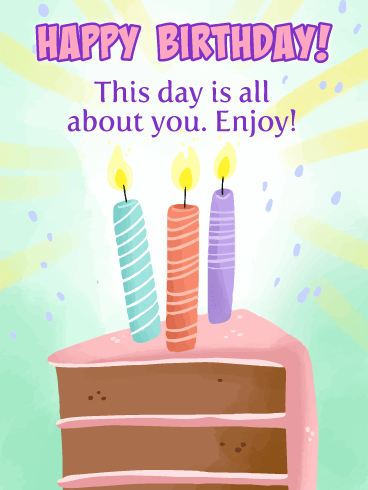 The pastel colors give this birthday card a pleasant look, and the lit candles are only a reminder of how exciting this day really is. Make someone’s day by sending this wonderful card out right away! Birthdays can be the most special day of the year for some people, and that’s why it’s important to send a sensational card. This amazing birthday card will let someone know that you are just as excited about their birthday as they are! It showcases an irresistible cake, vibrant candles, and a sparkling orange background. It looks fantastic! Show someone how much you care by getting this great birthday cake over to them now! For that super trendy friend of yours, we bring you: the birthday pizza! Know someone who prefers pizza over cake? Pizza over pie? Pizza over everything? 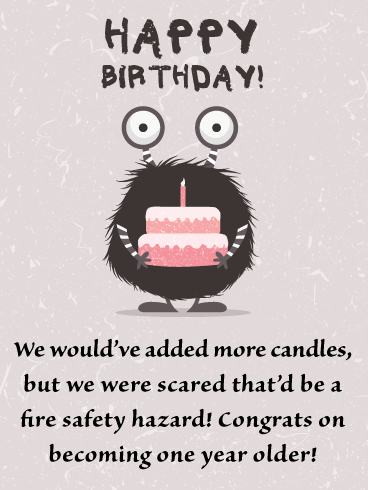 This is THE perfect card to send them! 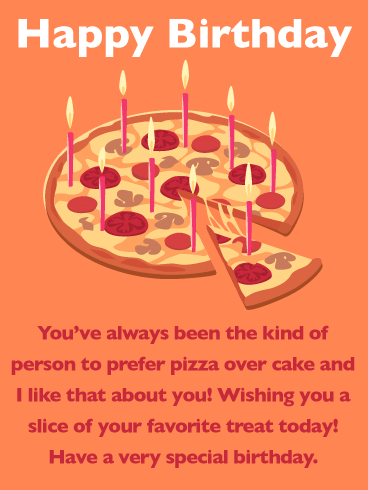 The Slice of Pizza Happy Birthday Wishes card is a beautiful yet quirky way to wish someone a special day! Your friend is truly unique and they deserve a one-of-a-kind card that matches their personality! As adults, we try to eat healthy and take care of ourselves. But on a birthday? It’s okay to cut loose and treat yourself! After all, this day only comes around but once a year! 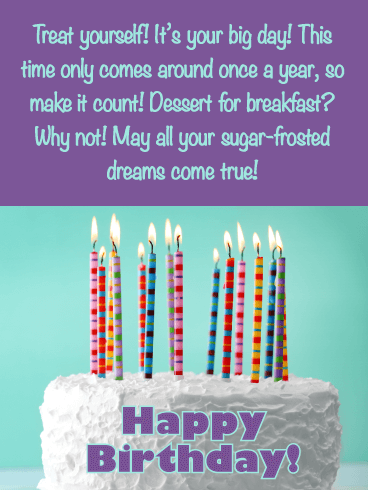 Encourage your friend to indulge in some dessert for breakfast on their big day by sending them this beautiful, frosted birthday cake card! May all their sugary dreams come true. 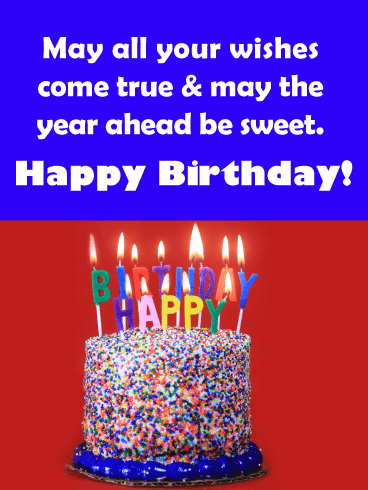 The Have It Your Way Happy Birthday Wishes card works for anyone whether you know the person well or not! Send it to an old friend, a new friend, or even an office acquaintance! It’s decorated simply with colorful, lit birthday candles. 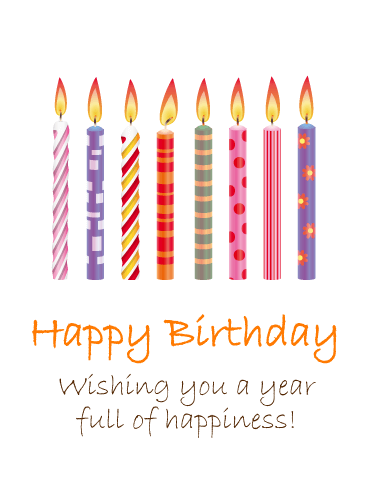 The card’s message urges the recipient to make a wish and celebrate the day however they like best! When you wish upon a birthday cupcake, it’s much more likely to come true! That’s the magical power of the birthday wish…oh and frosted baked goods! Pretty pinks and pleasant blues make this card easy on the eyes! 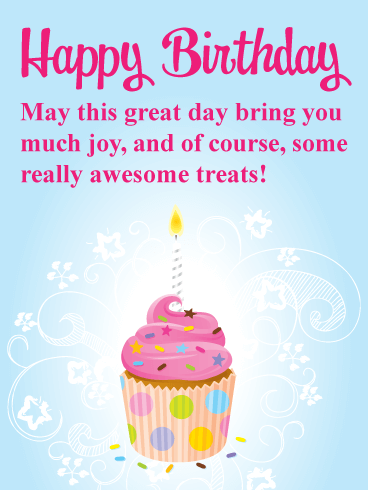 Send this deliciously sweet little cupcake card to wish your equally sweet friend a very happy birthday! The best birthday, in fact. 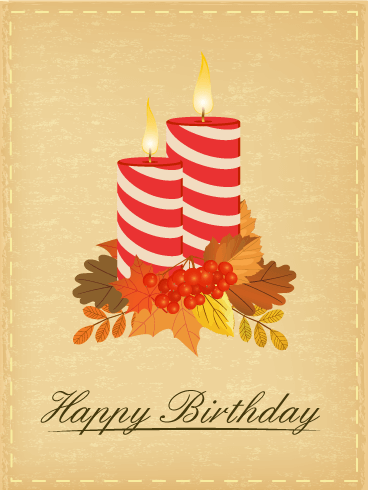 If someone you care about is celebrating their birthday today, then let them know you are thinking of them with this festive candle birthday card! It displays impressive colorful celebration candles that are sitting atop a fabulous cake that features irresistible frosting and sprinkles! 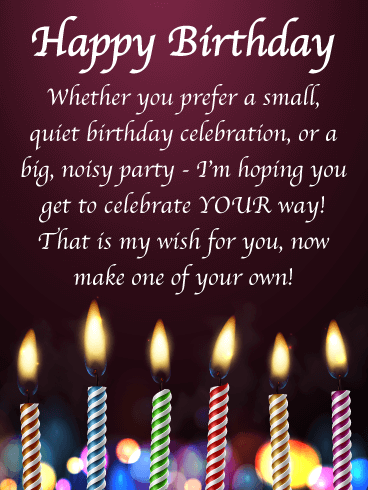 They will certainly appreciate the fact that you are hoping that all their birthday wishes come true. It will add joy to their big day! 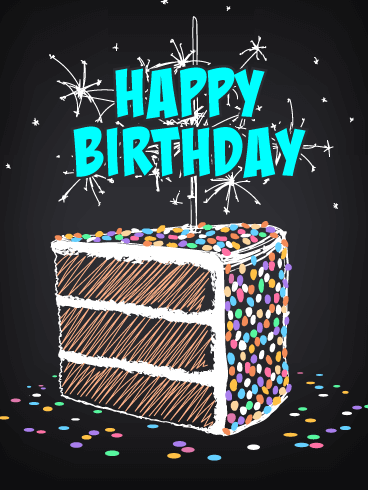 This sweet birthday card will be admired by anyone that receives it! It was designed with a beautiful cake that features pink frosting, cherries, and a bright candle! 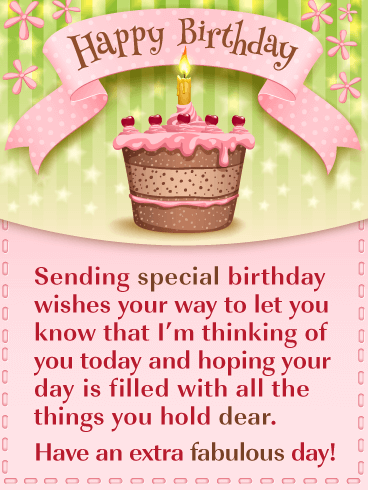 The light green background, star sparkles, and pink ribbon make this birthday card delightful. The meaningful message will let them know that you are thinking of them and wish them a fabulous day! Send it to anyone you know that would appreciate a pretty birthday card such as this. Everyone loves sweets, especially on their big day! That’s what makes this birthday card worth sending to anyone who is celebrating their special day. The cupcake looks perfect with its pink frosting and star-shaped sprinkles! 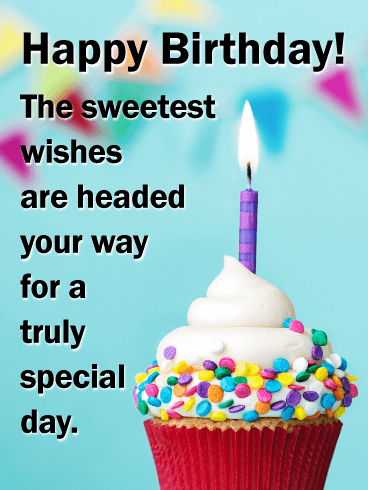 The message will wish the person you care about a joyful day filled with awesome treats! 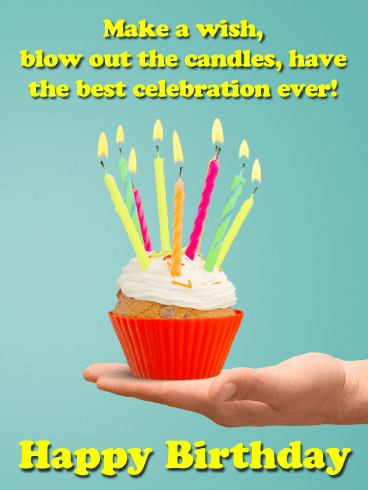 Be sure to send this celebration cupcake out soon, before it’s gone! Everyone loves the tradition of blowing out their birthday candles after making a birthday wish. There is always a glimmer of hope that it might come true! 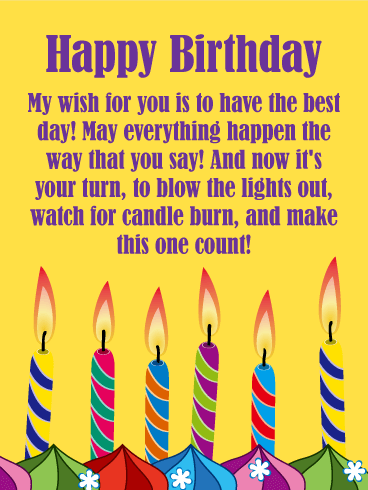 That's what makes this birthday card so special, lit candles are being sent on their way to let someone know you hope all their birthday wishes really do come true. 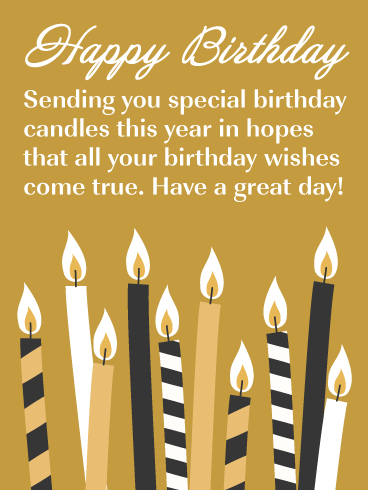 This stylish greeting card features a golden background and eloquent candles colored in gold, black, and white. 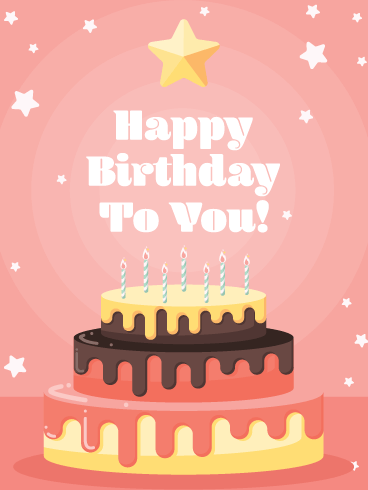 Let someone know you care by sending this wonderful birthday card out today! 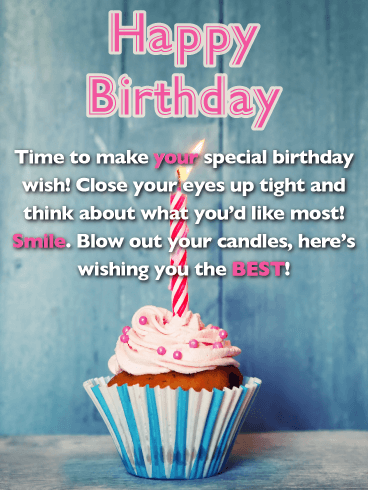 Everyone knows you have to blow out all the candles on your birthday cake to have your wish granted, but now you can send a special birthday candle card that allows the recipient an extra birthday wish - flame free! 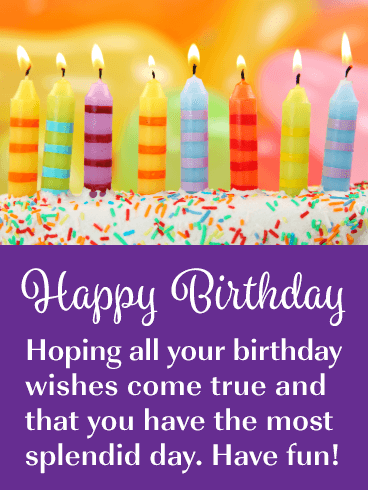 The make a wish happy birthday card is marigold yellow with six differently-striped candles standing behind luscious pipettes of colorful frosting! Fill the day with magnificent wishes! Each of these colorful candles can grant any wish. So that's seven wishes, one for each day of the birthday week! From Monday's cherry red candle to Sunday's sunset purple, your friend will get everything they want. 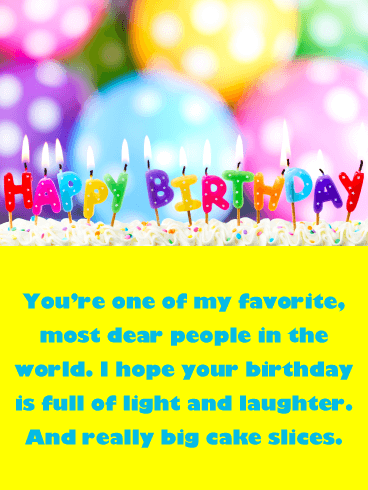 Send your friend this colorful birthday card to say "Happy Birthday" and to make all their wishes a reality. This heartfelt birthday card is perfect for that sweet, kind friend or family member who has always been there for you. This birthday card is the perfect way to remind them of the difference they have made in your life and to thank them for being there for you. The bright candles and warm green background express the sentiment of friendship beautifully and the bold black text makes the message easy to read and understand. Start someone's birthday right with these fun, lively candles! Full of joy and bursting with color, this birthday card shows how happy you are to celebrate with a friend. 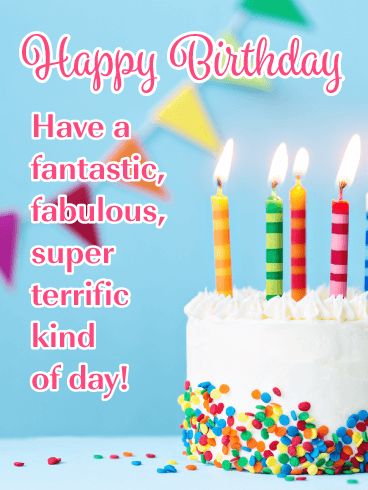 The bright colors give a birthday a sense of adventure and the unique designs show how special your friend and their birthday is. 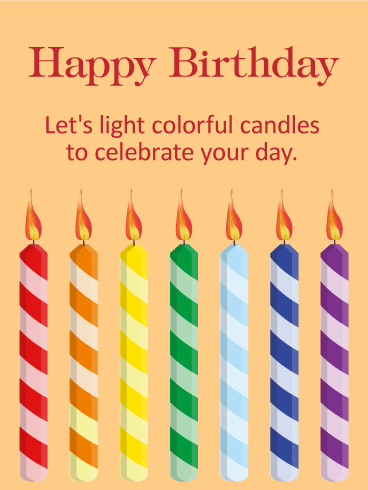 Send this birthday candle card to light up someone's day. We guarantee they'll smile. The lights of the candles will lighten the birthday person's heart. The colorful candles show happiness and warmth. This card is a perfect fit for anyone. Send this card to wish a year full of happiness. Holiday babies have it tough. They've got to share their special day with seasons crammed full of shopping and parties and travelling. In all the chaos, sometimes their birthdays can get over-looked. 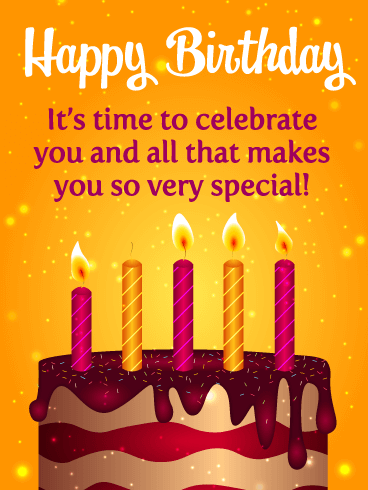 But not with this special birthday card, which perfectly pays tribute both to the season and their special day!